The boards not only have to be technologically advanced, but also physically flexible. This has made board types such as flex, semi-flex and flex-rigid interesting for new categories. Jeffrey Beauchamp, Field Application Engineer for NCAB Group’s Eastern Region in the United States, gives his view on this subject. Today we are seeing how more and more technology - and often more advanced - being fitted into physically smaller applications. Historically, in my region, we have not had much of a demand for flex, semi-flex or flex-rigid boards, but we’ve seen this increasing of late, which is very exciting and challenging for us. The main benefit with this type of board is that it allows the design of the PCB to be customized to the requirements of its end-use. With rigid boards, the PCB itself sets limits on the size of the product, but different flex variants open up the range of possibilities in this respect. Obviously, these more advanced boards cost more to manufacture, but at the same time they enable you to save time and costs - and even reduce some risks at the assembly stage. The great possibilities come from being able to expand your build in three dimensions. You can do away with cables and connectors and instead get the boards already pre-connected. Flex-rigid PCBs allow you to interconnect multiple parts without adding more assembly time, as the connectors are already built in. Through eliminating cables and connectors, you are, in turn, eliminating possible sources of error. Another question that comes into play when considering higher density PCBs that permit flexibility is the complexity that you would be adding. 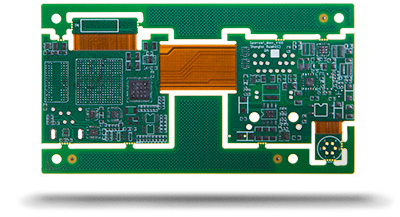 This puts greater demands on the PCB design, with high precision being a paramount factor. Things can easily get overlooked and result in different design errors. When evaluating more advanced designs for our customers, we make a point of working as a team, with several of us involved with the same design. That is how vital it is that nothing is missed. A 6L rigid-flex board. Rigid, flex, semi-flex and rigid-flex printed circuit boards represent four different levels of technology with very different production methods, and are therefore manufactured in different factories in volume. It is also extremely important to work closer to customers when it comes to this type of board. Rigid, flex, semi-flex and flex-rigid printed circuit boards represent four different levels of technology with very different production methods, and are therefore manufactured in different factories in volume. These technologies should only be used when the application requires it. You should never overly complicate things. If the application leaves room for rigid PCBs, this is the least expensive option. Whereas with designs comprising many connections to the next layer, tight spaces, or where reliability is key, you would probably be advised to look at one of the flexible PCB alternatives. If you need to bend the board dynamically, it’s best to use flexible or flex-rigid boards. 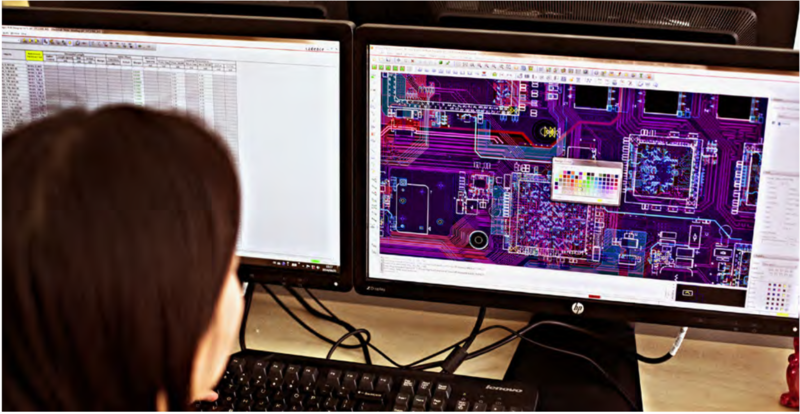 NCAB Group can help find the right solution for a particular application and provide suggestions on how to design a PCB to achieve a good yield. Nevertheless, to be able to help customers, we need to know more about the exact application. This is in contrast to rigid boards, where you don’t need to know so much about the end-use to produce it. What is the board going to be used for? Why does it have to be flexible? What features do they need? What temperatures will the board be exposed to (this is important regarding the choice of material and surface finish)? Many more issues have to be considered. When considering using technology at this level, it is advisable that the customer involves us as early as possible. At best, we want to be involved already in the design phase. The sooner we join, the better we can help. We need to understand exactly what customers intend to do with their boards. That would enable us to help them find the right solution that does the job, without making it all too advanced or complex. That is why the customer should involve us as early as possible when considering using technology at this level. At best, we want to be involved already in the design phase. The sooner we join, the better we can help. There is an increased interest in these technologies because the feeling is that this is the direction the world is heading. However, considering the higher complexity, it is vital you know what you are doing. That is why you should take full advantage of the manufacturers’ skills. Something as simple as where you place the bend could make all the difference between success and failure. Semi-flex PCBs often can function as a more than adequate solution for certain more advanced applications, while manufacturing is less complicated. Semi-flex is a technology that I have not seen much of in the US so far, and I hope American designers will use it more. Often, it’s a way that combines the best of both worlds. You can bend the board one time to fit the finished product, while not complicating things unnecessarily by laying on a higher level of technology than necessary. Semi-flex means a lower price-point which tends to make the customer happy. In other cases, using more advanced PCBs can of course be the best alternative. NCAB has the design skills and knows which factories have the capability to manufacture the boards you need, thus ensuring a robust end result. It is all about knowing what the customer needs and using our knowledge and experience to deliver a solution that best meets these needs. production can differ in ways that are non transferable.